List of Video Game Titles of which I participated in the development. Unity Game Title with Chico State Game Studios. 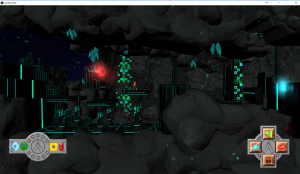 Side-scrolling 3D/2D adventure platformer, with puzzle solving elements. Uses Unity Game Engine. I completed numerous 3D assets for the game, including level building elements, props, and environment design. “Zero G”, a top-down ice-physics 2D-based movement arcade puzzle game with 3D graphics. I completed a majority of 3D assets for the game, particularly the spaceships and some space environments. 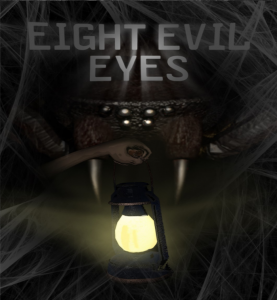 “Eight Evil Eyes”, a small 3D first-person dungeon game that allows the player to explore the dungeon, whist being stalked by a massive spider. Almost all 3D assets in the game are my work, including the player’s hand and the lantern, the spider itself as well as the spider’s animation and rig, and some level design elements for the environment.